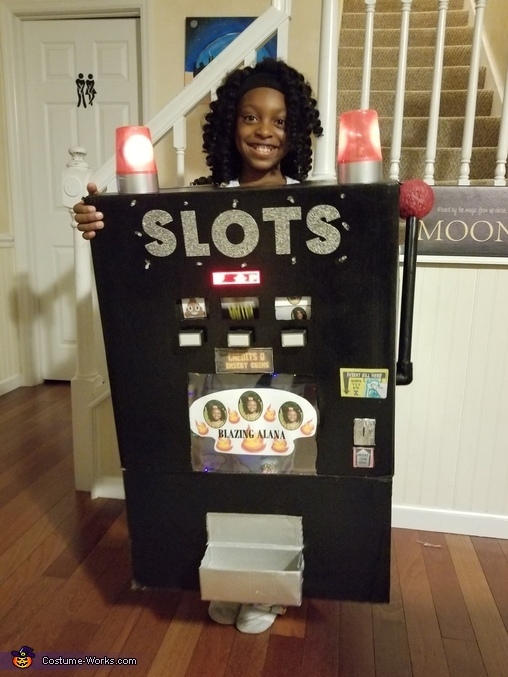 My daughter wanted to be a slot machine! We got a big box, painted in black, added some letters and battery operated lights, and a cylinder with cut out pics of her choice. It made casino sounds, it was a hit! !